Marina di Sibari is a tourist complex located a few kilometres far from Sibari, one of the most important colonies of "Magna Grecia", on the upper Ionian coast. 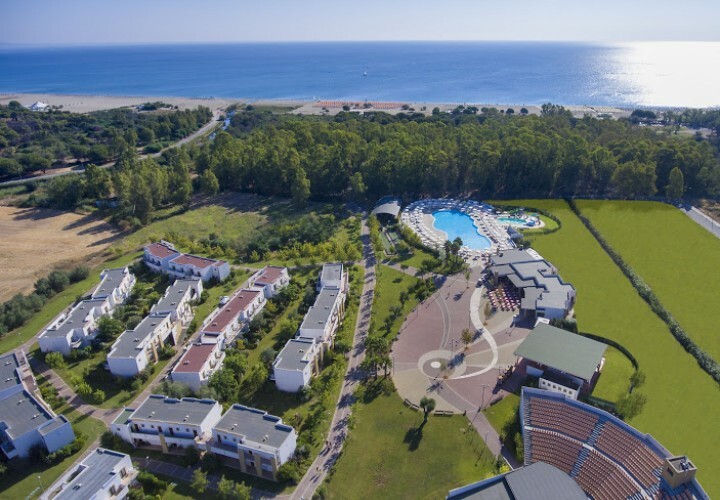 Full of green fields and wonderful coasts, Marina di Sibari is wet by the unforgettable and spectacular blue waters of the Ionian sea and beaches with fine white sand. Sibari was founded around 2.700 years ago and, like most of the greek colonies, was located by the sea, between the two rivers Crati and Sibari. The city, which was born as a farming and commercial village, grew bigger and bigger until it occupied a large area, becoming a rich city thanks to the frequent commercial relationships with the most important eastern ports. In the centuries-old history of Sibari, gastronomy is also very relevant, various and full of singular flavours. Like every other southern cooking, the main ingredients are oil, wine, vegetables, homemade pasta with delicate sauces, tagliatelle with cheakpeas and homemade bread cooked in a wood-burning oven. However, the main protagonist is the fish, cooked with simple, natural and fresh ingredients. There are also typical products such as clementines (with IGP mark), rice, licorice and typical desserts such as "cicerata", "giurgiulena", "turdilli", "cannaricolli", "vecchierelle" and "bocconotti". While staying in Sibari, a visit to the archeological site of the ancient Sybaris cannot be missed. The excavating is still in progress since a great part of the ancient city is still buried. Near the railway station, there is the National archeological museum of Sibaritide, where decorations of greek graves, potteries and bronzes can be found. The Sibari lakes are also an important attraction (since there is a well-known bathing centre with residential complexes) together with two Sanctuaries on the mountains, right behind the Piana di Sibari: the Sanctuary of Madonna della Catena and the Sanctuary of Madonna delle Armi, respectively dated back to 1600 B.C. and 1400 B.C.